Even in modern civil wars, a day or two is recorded without any casualty. In the Nigerian scenario, the killings by the herdsmen is constant since the beginning of this year. The apprehension between Fulani herdsmen and farming communities has existed for many years in Nigeria with remarkable intensification in recent times. The impunity and brutality which the assailants operate without regard for the law and the sanctity of life is what has been amazing majority of Nigerians since the past two years. What makes the bloodletting more complicated is the inability of the federal government of Nigeria to summon the political will to create a lasting solution to the violence. Still battling with the Boko Haram terrorist-infested northern part of the country and its countless killings, the marauding herdsmen have metamorphosed into another terrorist group in Nigeria. The herdsmen, nomadic cattle grazers, have been named one of the deadliest terror groups in the world comparable to Boko Haram, ISIS, the Taliban, and al-Shabaab. The herdsmen have wreaked enough havoc to be acknowledged by the global community as the fourth deadliest terror group in the world. 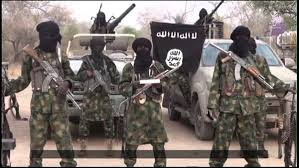 Some of the militants, as they have come to be known, is allegedly made up of members of the Fulani or Fula ethnic group, a tribe of over 20 million people, 70 percent of whom are nomadic grazers, who are native to at least seven West African countries. The escalation of the killings in recent times has bewildered everyone and as bizarre as it sounds, the Nigerian Army said it doesn’t have enough workforce to have a huge security presence in all Nigerian schools. This statement was made on March 23, 2018, when the Defence Spokesperson, Brigadier General John Agim, was a guest on Channels Television Breakfast Programme. Agim said due to the huge land mass, especially in the Northern East which is volatile to attacks, it is difficult to deploy troops to schools. Agim, who lauded efforts of the Federal government which has authorized civil defense and the police officers to secure schools in Northeast Nigeria, emphasized that the military cannot deploy to schools like some people are demanding. Explaining the role, which the military played in securing Northeast, Agim said the military wasn’t negligent as being rumoured but the troops were redeployed for other assignments few weeks before the terrorists, unfortunately, invaded schools in February 2018. On Tuesday, April 24, 2018, in the morning, the marauding herdsmen attacked a Catholic church at Ukpor-Mbalom in Gwer East Local Government Area of Benue State, killing two priests and 14 worshippers. The priests are Rev. Fathers Joseph Gor and Rev. Father Felix Tyolaha. The armed herdsmen attacked the St. Ignatius’ Quasi Parish in the community when an early morning mass was in progress. The Makurdi diocese of the Catholic Church confirmed the attack, saying two of its priests and worshippers were slain during the violent onslaught in the morning. The attack occurred barely four days after the murder of 10 persons by herdsmen in Guma Local Government Area and the destruction of several houses by men suspected to be military personnel in Naka, Gwer West in the state. According to the director of communications of the diocese, Fr. Moses Iorapuu, the two priests were killed during the deadly attack by herdsmen/jihadists early Tuesday. He said in their classic style, they burnt down homes, destroyed food items and killed at will. “The police seem to know nothing of the attacks which have been going on in other villages within Benue State since the Anti-Open Grazing Law came into effect last year,” he said. He said many people were wondering why the international community has remained silent over the massacre of Benue citizens. “The answer is simple: It has been the goal of the jihadists to conquer Benue and Tiv people who have resisted their advance into the Middle Belt and the Eastern part of Nigeria since 1804. “These are the people (Benue indigenes) who rejected Islam and fought for the unification of Nigeria in the civil war of 1967 – 1970,” Iorapuu added. He said the people of Eastern Nigeria today have very little sympathy for Benue people who fought on the side of Nigeria, adding that the Muslim North was enjoying its sweet revenge, which has been overshadowed by an insensitive regime. Iorapuu disclosed that there were over 170,000 internally displaced persons in the state before the Naka invasion, adding that surely with the current situation in Mbalom, Benue will be flooded with thousands more. “What cannot be said at this point is the consequences of the deaths of the missionaries and the silent other killings that have been ignored by the federal government for over a year,” he said. He said the Catholic diocese of Makurdi, one of the largest in Nigeria, has been active in providing relief materials, including education and skills acquisition programmes for residents in the state. “To go after the priests means total destruction of everything we stand for and believe in as a people,” he added. Also confirming the church attack, the Benue State Police Command said Tuesday that 16 people, including two Catholic priests, were killed during the morning mass. The Commissioner of Police, Mr. Fatai Owoseni, told newsmen in Makurdi, the state capital, that unknown gunmen, suspected to be herdsmen, opened fire on Catholic worshippers during morning mass. “The worshippers were attacked around 5 a.m. during morning mass. Other victims were killed during a burial ceremony later in the day,” he said. Owoseni, who described the attacks as “unfortunate”, vowed to fish out the perpetrators and bring them to justice. He said preliminary investigations revealed that the herdsmen had been in the area for sometime before carrying out the attacks. The police commissioner said more policemen were deployed in the area to forestall further attacks. Reacting to the incident, the president described as vile and satanic the slaughter of innocent worshippers in Ukpor-Mbalom and condoled with the government and people of Benue State. A statement by his media aide, Mr. Femi Adesina, said Buhari also extended his condolences to the Mbalom community, the priests and members of the affected church, describing the cruel act as despicable. According to him, attacking a worship centre and killing priests and worshippers was satanic and capable of causing a religious crisis. Three days after the carnage, April 27, 2018, The Catholic Bishops Conference of Nigeria (CBCN) demanded the resignation of President Muhammadu Buhari over rampant killings across the country. The CBCN said President Buhari’s handling of the killings appears to show his connivance with the suspected killers. According to the statement signed by the president of the CBCN and Catholic Arch Bishop of Benin, Augustine Akubeze, the CBCN wants President Buhari to “stop presiding over the killing field that Nigeria has become”. “We have received with deep shock, sorrow and utter horror, the gruesome, grisly and dastardly murder of two Catholic priests along with fifteen of their parishioners in the early hours of the morning of Tuesday 24 April 2018. These innocent souls met their untimely death in the hands of a wicked and inhuman gang of the rampaging and murderous terrorists, who have turned the vast lands of the Middle belt and other parts of Nigeria into a massive graveyard. Their unrestrained mayhem has become a metaphor for the untimely death that is now the fate of many of our fellow citizens today. “Indeed we have just discovered that on January 3 this year, Fr Gor tweeted: “We are living in fear. The Fulanis are still around here in Mbalom (where they were killed). They refuse to go. They still go grazing around. No weapons to defend ourselves. “Their desperate cries for security and help went unheeded by those who should have heard them. They could have fled, but, true to their vocation, they remained to continue to serve their people right unto death. “Since the President who appointed the Heads of the nation’s Security Agencies has refused to call them to order, even in the face of the chaos and barbarity into which our country has been plunged, we are left with no choice but to conclude that they are acting a script that he approves of. The bishops said the President has failed to heed various calls to act drastically towards ensuring an end to the mayhem. The CBCN blamed part of the problem on the federal government’s decision to appoint heads of security agencies, mainly from one of Nigeria’s major religions. “Repeated calls from us and many other Nigerians on the President to take very drastic and urgent steps to reverse this ugly tragedy that threatens the foundation of our collective existence and unity as a nation, have fallen on deaf ears. It is clear to the nation that he has failed in his primary duty of protecting the lives of the Nigerian citizens. “Whether this failure is due to inability to perform or lack of political will, it is time for him to choose the part of honour and consider stepping aside to save the nation from total collapse. We are sad. We are angry. We feel totally exposed and most vulnerable. “ Faced with these dark clouds of fear and anxiety, our people are daily being told by some to defend themselves. But defend themselves with what? The Federal Government, whose primary responsibility it is to protect lives, for its part alleges that those who ask the people to defend themselves are inciting them to take the laws into their hands. 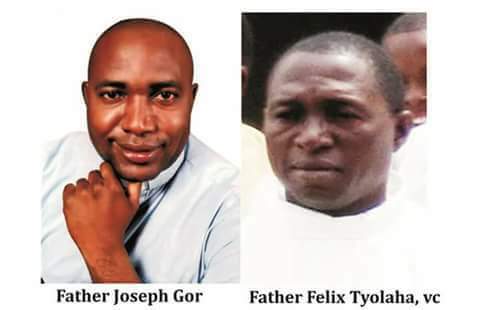 “For over two years now, the Catholic Bishops’ Conference, along with many other well-meaning Nigerians, have consistently asked the President to rethink the configuration of his security apparatus and strategy. Along with millions of Nigerians, we have expressed our lack of confidence in the security agencies, which the President has deliberately placed in the hands of the adherents of only one religion. “The statement said the CBCN feels violated and betrayed by the current leadership’s handling of security situations. It called on Nigerians to defend themselves while urging the federal government to stop disarming Nigerians, since ‘military operatives cannot protect the people’. “As leaders, we have consistently asked our people to remain peaceful and law-abiding, even in the face of the worst form of provocation. Today, we Christians feel violated and betrayed in a nation that we have all continued to sacrifice and pray for. We collectively feel abandoned and betrayed. The Catholic bishops met with the Catholic pontiff, Pope Francis, in Rome in April on that day. On the 3rd of February 2018, the leader of all Cattle Breeders Association of Nigeria, Bello Abdullahi Bodejo, whose organization, Miyetti Allah Kautal Hore Socio-cultural Association, also known as Lamido Fulbe, revealed that politicians are the ones instigating the killings in various part of Nigeria in order to prove a point ahead of the coming election. Bodejo told The Sun newspaper that, “There is a long history of clashes between the Fulani and the farmers in this country. Almost about 50 years ago, the Fulani and the farmers have been having clashes but the clashes were usually settled between the local chiefs and Fulani leaders but now since the last eight years, everything has changed. “What is happening in Nigeria today is not a normal clash between the Fulani and the farmers. The whole thing has been politicized and politicians are getting involved in the problem. In 2014 during the administration of former President Goodluck Jonathan, there were clashes in Benue, Plateau and Taraba states but the media did not sensationalise it like what is happening now. “In the present case, people are using all kinds of propaganda. Any time the nation wants to go into a general election to entrench a new government, people would start all kinds of propaganda. “When one or two people are killed now, they would carry propaganda like a whole village has been wiped off. Now, there is no farming in the bush but anything that happens, they say it is the Fulani and farmers. “Before, both the farmers and the Fulani, if they had a problem in the bush, they could easily settle themselves but now politicians are involved and they are preaching so much hatred between the Fulani and the farmers. “The problem is that the Fulani do not have access to the media because many of them are in the bush rearing their cattle. “If for instance, you want to call a Fulani in Benue to know what is happening to them there, it may not be possible because you do not have the number of anybody there in the bush. But the media especially the social media, they always write one side of the story. “There is no balance in the stories that are being pushed out and because the Fulani are not in control of the media, anything or crime can be imposed on them and the people would erroneously believe it. “The normal thing the media should do is if they hear the side of the farmers, they should also go and find the position of the Fulani. What is happening now is that some politicians who are finding it difficult to come back to power are causing the problem. “Ask yourself how many farmers can buy the AK47 rifles that they say the Fulani herdsmen carry about. Instead of finding a way to end the crisis, the politicians are using propaganda to escalate it. Every time, they say it is Fulani but if you go to other countries where the Fulani are herding their cattle, have you heard any killings that were caused by the Fulani? “They killed people in Taraba and they said it was the handiwork of the Fulani but the people who did it are not the Fulani. Asked exactly who the politicians are buying AK47 for,‎ he added, “In the last two or three weeks, the police have arrested some people with AK47 rifles but those people are not Fulani. On April 6, 2014, a peace meeting was held, for the building and reconciliation committee headed by the Inspector General of Police (DIG) in charge of operations, Mr. Micheal Zuokumor. The focal point of the meeting was to put an end to the bloody killings in Benue state. The meeting which was allowed to be observed by the press ended dramatically as the state secretary of Miyetti Allah cattle breeders, Mr. Garus Gololo was whisked away by policemen who insisted he was frustrating the peace effort. The DIG during the meeting did not mince words in accusing the state secretary of Miyetti Allah of fueling the crisis, insisting that he (Gololo) has been frustrating every effort of enhancing peace between the two rival groups. During the meeting, it was observed that the secretary was immediately moved away from the hall probably by policemen who were compelled to stay the action for his quick disappearance. The quick disappearance of Gololo from the venue occurred less than 10 minutes after the DIG lambasted him. Gololo, it would be recalled told the press after the initial meeting that the Benue state government was dealing with the fake leadership of the MIYAITI Allah, Alhaji Abdulahi Bodejo, who also signed the peace pact that was signed between the DIG, Fulani herdsmen and farmers. Gololo explained that the authentic President of Miyetti Allah Cattle Rearers Association of Nigeria is Mahmoud Kirowa who was duly elected. The situation sparked a fresh crisis between the aggrieved parties. Four years after, several thousand have been killed, intentionally, as collateral damage and as a means of settling scores in that region of Nigeria.